I am wonderring if I need to have my new Citica serviced, or lubricate it or something. I have never been into the guts of my reels before but my new out of the box Citica doesn't seem to cast that far . I only have 2 brakes engaged and the spool tension backed off. I have been using baitcasters for some time so I'm not having a problem with bird's nests but I can't seem to get a lot of distance with lighter baits. Any suggestions. What kind of line are you using. When I first bough my citica, I spooled it with 50 lbs power pro for the slop. Experienced the same thing, lack of casting distance. But now I have it spooled with 20 lb power pro and it casts like a dream! I've got the Citica spooled with 15 lb. High Vis Spider Thread. Maybe I'm expecting too much, if I have my Live Target crawfish crank bait on and really cast hard with the wind I may get 5-6 boat lengths of 14' boat. However, with lighter baits can't seem to get much distance and I have the tension on the spool backed right off. I love the reel and the drag and power on retrieve is great. Baitcasters are meant for accuracy in casting, distance is something that comes with practice. You may need to clean the bearings of the shipping grease that Shimano puts on the reels. A little dab of lighter fluid and a wipe may help. 1: It might be the rod. Light baits won't load up a Medium Heavy rod. 2: Try washing out your spool bearings and the bearing under the spool tension knob with lighter fluid and lightly re-oiling them. Higher end casting reels use sealed anti-rust bearings, but the Citica has plain SS bearings. These type are often greased to protect them in transit from Asia and while in storage etc. New reels often come over lubricated by the factory in an effort to maximize the longevity of a reel's out of box feel since they expect the majority of fishermen to not service their reels. You can do what Garry said, or simply use the reel. Over time, the grease will work its way out of the bearings, and loosen up. My brother has one Citica that casts a mile (further than his other Citicas and even his Curado) because it is his most used reel and is well worked in. With respect to the rod Garry is also right. 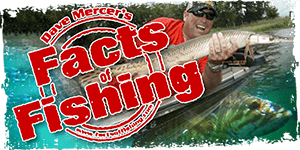 Rods have recommended lure weight ranges in order to let the angler know what weights will load up the blank properly on a cast. If the blank doesn't load, you do not get much transfer of energy from your backswing to the flight of the lure. I spoke to a reel mechanic friend of mine about your problem. He mentioned that Shimano reels are notorious for having grease in the bearings...In fact he said he had received a brand new Curado for service this week. The reel was so "tight" that the spool wouldn't spin more than a couple of turns in free spool. He felt that something must be broken inside. Even he was surprised when after washing out the bearings, the spool would spin for more than 30 seconds. One thing he pointed out is that after washing the bearings with lighter fluid, or camp-stove fuel(white gas) etc, the bearings should be blown dry with a dry air source such as the canned air sold to clear keyboards. I've had reel techs caution against the use of pressurized air becuse the force can actually damage the races and tracks within these micro bearings. After I soak my bearings in Acetone (pure, scent free stuff, not the nail stuff), I spin the bearings on the end of a dowel to throw off excess acetone, then allow them to air dry. I then put 1 drop of Quantum hot sauce oil in each bearing and reinstall. But, I am not a reel tech. Same type of thing happened to me and my new extreme baitcast reel....a few drops of oil in the bearings and it made all the difference in the world. I have also bought reels used and taking them apart to find grease in the bearings....not oil! Lots of other good thoughts here too. I have been doing the same things as you and I think it works just fine when we talk about excess grease in new spool bearings. He soaks and cleans bearings then puts them in fresh cleaner inside a jar then puts the jar inside of an ultra-sonic cleaning tank. As I understand it, this basically vibrates any remaining micro-grit out while the bearings are soaking in a solvent bath. For me he suggested I use pressurized brake or carb cleaner, with the extension tube, so that the liquid could flow through the bearings and carry any grit away. After that using dry-air would dry the bearings without introducing any water vapour. If you are removing the bearings for cleaning this all works fine, but these solvents might not be safe for plastic parts or painted surfaces. I hope my dunk in solvent, swich and soak, swish and soak; dry, then repeat in new solvent doesn't leave grit behind lol. But I do want an ultrasonic cleaner so that i don't have to worry about that anymore lol. Nerdy explanation: the vibration causes cavitation around objects within the liquid,which breaks dirt away from objects such as bearings. I have heard of people using compressed air as well as the pressurized carb cleaner with great results. I just stay away in case lol. You are right: Do not use solvents on plastic parts or painted surfaces - use a diluted solution of simple green or simply soap and water..
Hi Bill, did you try to cast the same light weight lure with your older baitcasting reel? you mentioned the problem is when casting a Mepps bait, what kind of bait is it? I have been using baitcasting reel for many years and I tell you In still cannot cast a #3 Mepps spinner with my baitcast reel. No, the Mepps I was throwing was a #4 and #5 Mepps Anglia . I haven't opened up the reel yet, too busy, going to check things out and get back to everyone about my results.